Cammax understand that service and maintenance play a key part of the service we provide to our customers. In order to provide our customers with the best service possible Cammax ensure that all maintenance and support is carried out by fully qualified in house Engineers. Cammax offers the complete end to end solution for all kiosk requirements, this includes a full deployment service ensuring kiosks are correctly placed, on time and installed with minimum disruption. Cammax SLA ensures an engineer is ready to attend site within 24 hours of the call being logged. Cammax take pride in the excellent service provided by its maintenance staff, and Cammax have yet to fail to meet a target as agreed in an SLA. Cammax hold loop stock of all core components allowing engineers to have access to replacements components which allow them to fix most issues on site. You can download and view our latest Service Level Agreement here for more details on what’s covered under the terms. Where permitted Cammax will install remote monitoring software on kiosks to allow engineers the ability to remotely connect to the kiosks. This functionality allows us the ability to diagnose and in many cases resolve issues remotely and quickly without the need to send an engineer to site. All Cammax Kiosks can be deployed with kiosk management software which can be viewed by both Cammax support staff as well as any approved customer. The remote monitoring software has a dashboard which provides an overview of system status so that kiosk health checks can be quickly performed remotely. Additionally, the reporting software is also equipped with alerts which are sent via email to Cammax support desk as well as selected staff to ensure that any alerts raised by the system are dealt with in a timely manner. This also allows our support desk staff to proactively contact customers in the event that an alert is generated. This software can also provide customers with key statistical data about the kiosk usage and provide useful data analysis. Cammax have an established procedure for fault reporting. When the kiosks are supplied to the customer, the customer is provided with details of how to report any faults found with the kiosks. Once a fault has been reported this will be given a ticket reference number by the customer service team and the fault will be passed to one of the kiosk engineers who will be able to assess if the fault can be rectified remotely or if a site visit is required. In the first instance a Cammax technician can remotely connect to the kiosks and perform remote support, updates and implement any solutions required to resolve the issue. 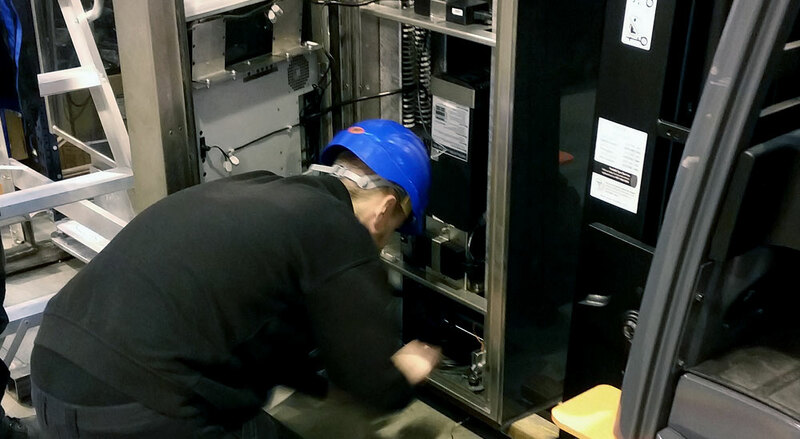 In order to get the best out of our kiosks, Cammax include the cost of an annual preventative inspection for each kiosk as standard in the maintenance contract. If you head on over to our news section you will find regular advice and tips on how to maintain your kiosk to help avoid common problems.